We are delighted to have finished our first quarter in the new building! 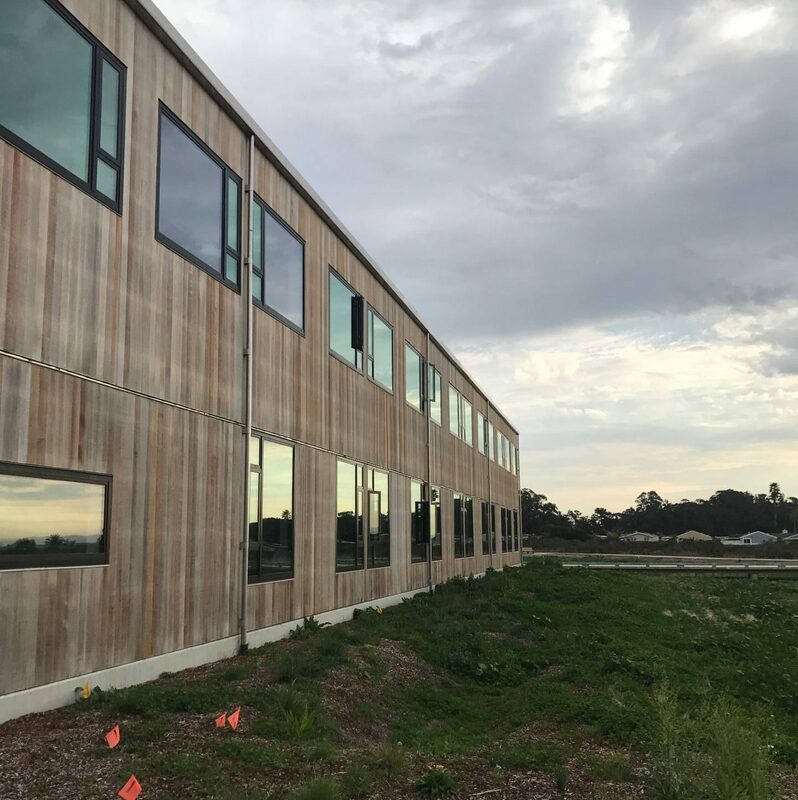 Although the move to our new space was chaotic– as could be expected when an entire department migrates– we have finally settled into our new lab and offices and are truly enjoying the beautiful space down by the ocean. Doriane represented the Alonzo Lab with a display table at the building dedication and open house. 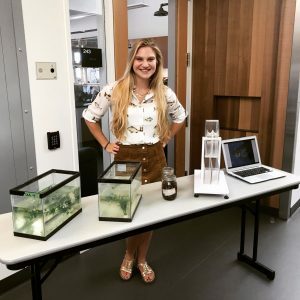 She explained her work on mosquitofish reproductive biology to crowd of visitors from the community, guests from Wells Fargo, and members of the UC Santa Cruz Foundation Board. 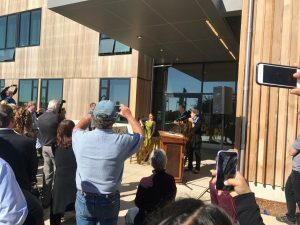 The best part of the day was the “ribbon cutting” ceremony– true to our department’s passion for marine ecology and beautiful new location by the sea, our department leaders cut a piece of kelp, rather than a ribbon!